With his upcoming best-of PLANET JARRE set for release September 14 on SONY, the Godfather of Electronic Music JEAN-MICHEL JARRE (JMJ)celebrates his 50 years at the forefront of electronic music with an extensive double album that will once more cement his legacy in pop music history. Consisting of four parts—Soundscapes, Themes, Sequences, Explorations & Early Works—PLANET JARRE is unmistakably and utterly typically Jarre, highlighting a different creative focus of his work. “HERBALIZER“-available now on all DSPs–appears as part of the Sequences collection based on the repetitive and hypnotic sequences that only electronic instruments can create. The song was specifically written for live performance as part of JARRE’s most recent Electronica world tour, not intended for inclusion on an album. “It’s a very strange title but it fits in some personal way a track I can see for stage. I had no idea to integrate this track in an album but I thought I could fit it in this ‘Sequence’ part of Planet Jarre,” says JARRE. “I’m quite glad this piece of music I can see for stage will be in a studio version.” “Herbalizer” is one of two recently composed and previously unreleased tracks along with “Opening Coachella” on the album. 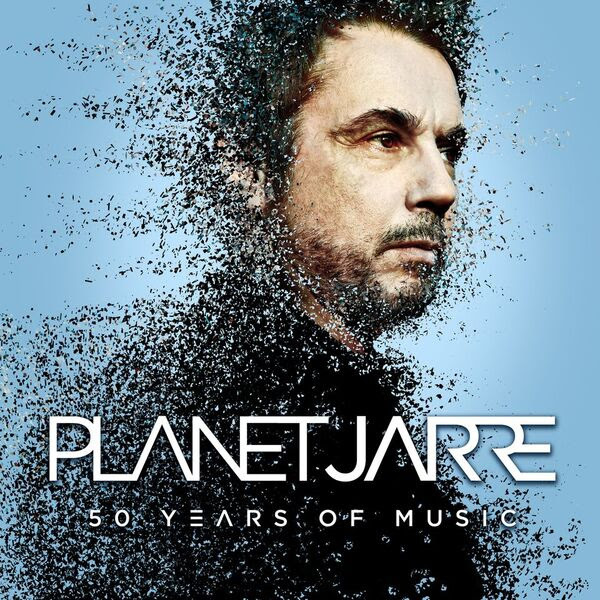 PLANET JARREcomprises 41 works from his extensive music catalogue, hand-picked by Jarre himself and completely re-mastered to add a new and sparkling freshness to the sound of the package. To top things off, the Vinyl Book and Ultimate Box Set both come with a download card to enter the world of Jean-Michel Jarrein 5.1. Always fascinated by the best possible sound and technology Jarre mastered some tracks in 5.1. for a unique listening experience.PLANET JARRE is available now for pre-order HERE. The release of PLANET JARRE follows the 2018 U.S. leg of Jarre‘sELECTRONICA World Tour where he made his U.S. festival debut at Coachella to critical acclaim. JARREis a 2017 Grammy nominee, with more than eighty million albums sold throughout his career, a four-time Guinness World Record holder for largest concerts ever performed, and UNESCO Goodwill Ambassador renowned for his one-off groundbreaking events at historical landmarks across the world. He’s one of the first artists in the world to perform electronic music as we know it today.